Businesses of all sizes struggle with managing their workplace safety responsibilities. When operations are busy, activities which have been initiated to ensure that the established risk controls are in place and working can often be forgotten. Let’s face it, there should be a reason why these activities have been scheduled, and if this reason is to protect the health and safety of workers, contractors or visitors, they should not be placed on the “to do later” list. Increased workloads, being “busy”, or “forgetting” is no justification. At every workplace there should be a well understood reason for every health and safety task that is being undertaking. If the reason you are undertaking the task is not understood, maybe now is time to review those tasks, rather than just “forgetting” about them? In addition to “tasks” being completed; the management of “the evidence” of tasks being completed is often unstructured. Software can assist. Software does assist. It is common place now for OHS Software programs to automatically email the identified workplace stakeholders, with reminders of when important tasks are scheduled for completion. OHS Software programs should then provide the workplace with a way to manage the OHS record(s) on completion. The simplicity of OHS Software means that it is something that many workplaces are now considering to introduce to support the visibility of their OHS Program and establish workplace efficiencies. Whilst there are many software applications on the market, all OHS Software is not the same. The majority of the OHS Software programs that are on the market are “commercial off-the-shelf (COTS)”. This means that they have been made, ready for sale to the public. It means that they are not developed specifically to a workplace – that includes your workplace. They have been designed to be implemented easily into workplaces with minimal customisation. This means that the “80-20 rule” should be considered (i.e. at a minimum, the OHS Software program should be able to effectively deliver 80% of the outputs you require). However, with careful planning and by following the considerations below, you should be in a position to elevate that 80 closer to 100 – by identifying the OHS Software program that is “more-right” for your workplace’s needs. Are you looking for an “OHS Software package” or “OHS Policy and Procedures”? OHS Software packages are effectively “frameworks”. This means that your workplace will be required to develop the OHS Policy and Procedures additional to the OHS Software licence. Some packages will provide a “Manual” that is in line with their OHS Software program (this is rare). If a Manual is provided, ask your supplier how much work will be required to align the Manual to meet your workplaces operational needs, and if any additional documentation may be required. Are you looking at OHS Software or “Web-based” OHS Software? Besides being antiquated, OHS Software that is loaded onto individual computers (think the “old” Microsoft Office), does not have the “flexibility” of web-based OHS Software. The user is locked into being at their computer to access their OHS Management System. Web-based OHS Software will also allow users to access their OHS Management System anywhere, and on any device (where they have access to the internet). A bonus of web-based OHS Software is that the supplier should provide you with “free” automatic updates as the OHS Software develops – this cannot be said for Microsoft Office! if it provides the functionality you need? does it address your business critical workplace’s needs? if the user interface is clear and simple to navigate? will your users, who may have varying levels of computer literacy, be able to easily use the OHS Software? …how will our workplace live the mantra that “safety is everyone’s responsibility”? Does the OHS Software have a lock-in period? If the OHS Software package effectively delivers all of the benefits that you signed-up to during the initial procurement, it makes sense that you would continue to use the software – right? As disclosed above, the majority of OHS Software is “Commercial off-the-shelf”, this means that the business you are looking to purchase the OHS Software from, often has not invested time in developing the software specifically for “your” workplace needs. This being the case, you should be very nervous of OHS Software suppliers that look to lock you into contract greater than 1 year. If the OHS Software: (i) behaves as promised; (ii) has effective help support; and, (ii) continues to improve in line with advances in technology, you will stay. For the majority of businesses, OHS Software does not need to be developed specifically for the organisation. Can you access the OHS Software from Mobiles and Tablets? With so many organisations operating outside the traditional office setup; would workers being able to access your OHS Software from their mobile telephone and/or tablet be of benefit? Does the OHS Software provide you with access to all Modules or just “some” Modules? All software can be a “tricky” to navigate. Whilst advertising a “starting” price, OHS Software providers will often charge additional fees that are “disproportional” to the initial outlay, for any extra modules that you identify in the future that could benefit your workplace as your safety program matures. Make sure you understand all potential future costs – even if you don’t think you will need them all right now. Running multiple systems due to cost, as we often see, is confusing and disorganised. the ability to raise issue either by email and/or telephone. Note: It may also be in your best interest to understand if there is any cost associated with any help requests that you make. 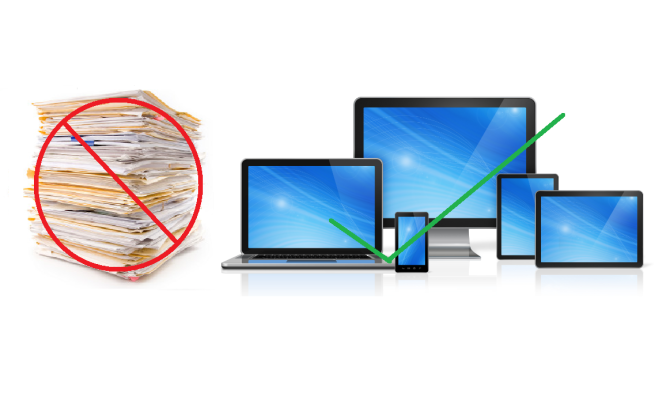 What happens to “your” data if you decide that the OHS Software is no longer for you? Firstly, it is your data. Secondly, you have a legislative duty to maintain selected health and safety records. Therefore, it is absolutely critical that you have access to these. Can you export or download the data yourself? Or does the OHS Software provider charge you retrieval costs? Does the OHS Software have compatibility with other IT Systems? All software should support efficiency. With workplaces typically having at least one IT Program established prior to implementing an OHS Software package, it is worth identifying how the OHS Software package can align with your current IT system(s)? For example, will you be required to manage employee information across multiple platforms (i.e. your payroll system and your OHS Software package)? Or will the two (2) packages be able to communicate with each other? If the OHS Software cannot directly communicate with other IT Programs you have installed, what other options have been provided to you to support efficiency? For example, is there the ability to import data? This is by no means an exhaustive list and it should not cover the full breadth of your review. If you would like further support, or have any questions, please do not hesitate to contact us. With regards to additional considerations, we will look to provide more information in future blogs. If you have any feedback on your experience with procuring OHS Software, we would love to hear from you.